Sony's stock is rebounding now that "The Interview" has been shelved. 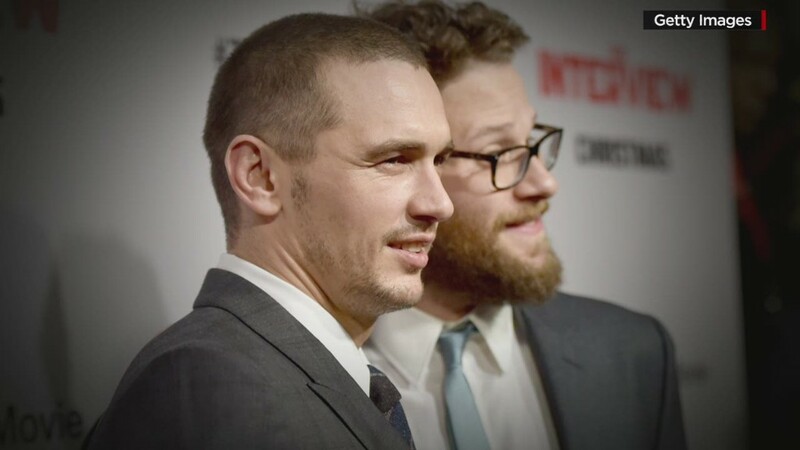 The Sony mega-hack prompted executives to pull "The Interview" from theaters before it even screened. While fans and celebrities panned the Sony decision as an act of cowardice, investors rejoiced. Sony (SNE) shares jumped 4% in early U.S. trading. In Japan, the stock -- which is also traded on the Nikkei -- closed the day 5% higher. Late Wednesday, the stock had already gained 3.4% in Wall Street trading. Earlier this week, the stock wasn't looking so rosy. On Monday Sony fell 3%, after a 2% decline on Friday after the fallout from the hack loomed like a dark cloud over the company. The U.S. government has blamed North Korea for the cyberattacks as an act of revenge because the movie depicts the assassination of its leader Kim Jong Un. But the North Korean government denies any role in the cyberattack. The hacking has led to embarrassing revelations about Sony executives, disparaging comments about stars and also salaries of others.